Last Friday- July 4, I attended the 25th anniversary of Giordano in our country, and may I just say that it is so awesome that Giordano and I are already both 25! That explains why my mom had the knack for always dressing me up in Giordano all the time! Too cool! 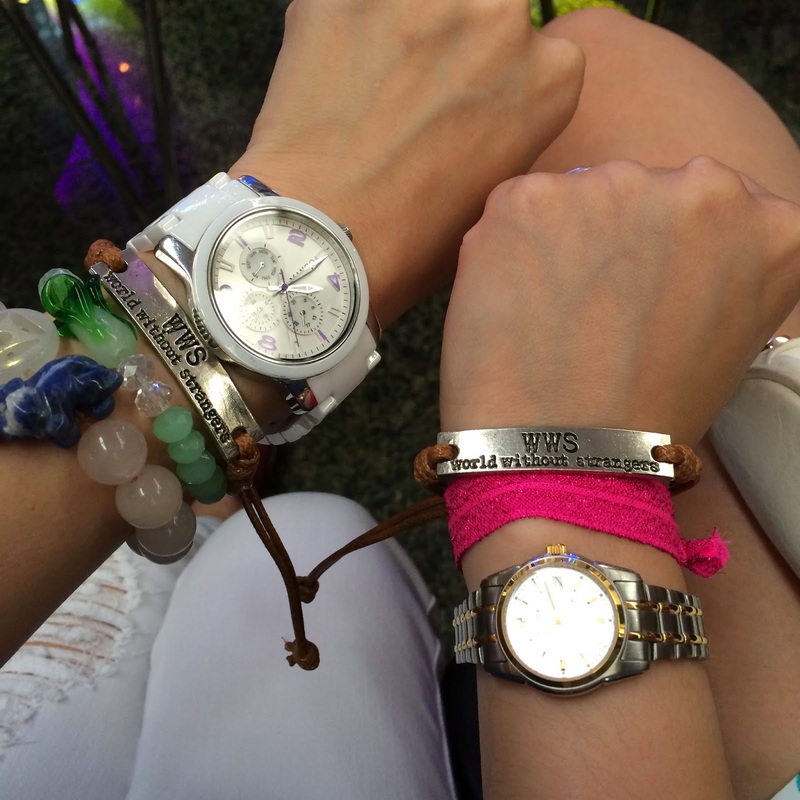 But setting that aside, to celebrate their milestone, they launched their World Without Strangers (WWS) campaign along with a new collection built on the brand's roots and core philosophy, which is having champion wearable pieces that don't overshadow the wearer's personality and anyone from all walks of life can relate to the pieces. And what better person to represent or be Giordano Philippines' latest brand ambassador for this new campaign than music icon Rico Blanco. His latest single, "World Without Strangers" is the perfect song to remind us that a world where there is no class or cultural divide; a world where everyone is bonded by a familial tie is a happy world. People normally start out as strangers, we all know that. But when you try to reach out and understand each other, you start a connection and from there you slowly get to bond. Hence, you no longer become strangers. A big reason why I watched this awesome music festival with two of my good friends. Imagine, we were just strangers in a batch of 400 students. But we still managed to find each other and 6 years has passed and we're still great friends! The music festival was hosted by Boys Night Out and the stage sizzled with nonstop music from our local musicians/bands, like Callalily, Sponge Cola, Urbandub, Franco, Up Dharma Down, Gracenote, Techy Romantics, Taken By Cars, Kala, Autotelic, Join The Club, Cygnet, Laude, Hidden Nikki, and Yolanda Moon. 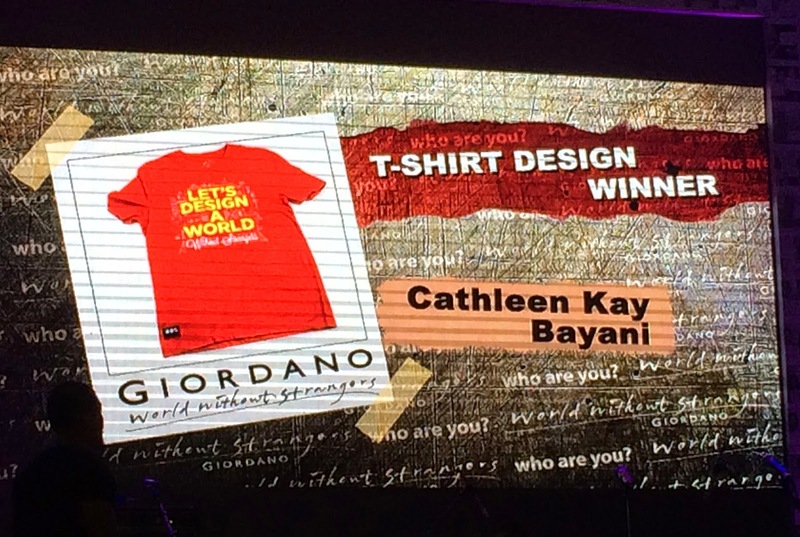 The launch of the WWS campaign also brought about World Without Strangers Citizens where Giordano recognised 12 individuals during the festival who have contributed to creating that ideal world. The awardees, range from social workers to artists, from writers to taxi drivers. 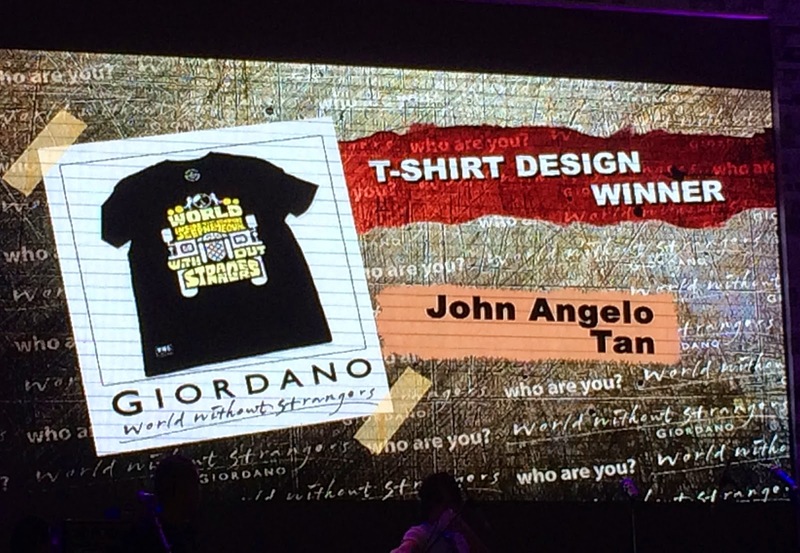 Aside from awarding the inspiring WWS citizens, Giordano actually held a Giordano Statement Tee Contest in the past, which revolved around the WWS theme and ten designers were also recognised during the festival. Here are 3 out of 10 designs. I find them really cool. :) The winning designs will be released in Giordano stores by the end of July, so you can get the chance to see them pretty soon! I really want that WWS jacket! :) How about you? What do you love from the collection? This campaign is truly a great move on Giordano's part and I can't wait to see more campaigns like this in the future. 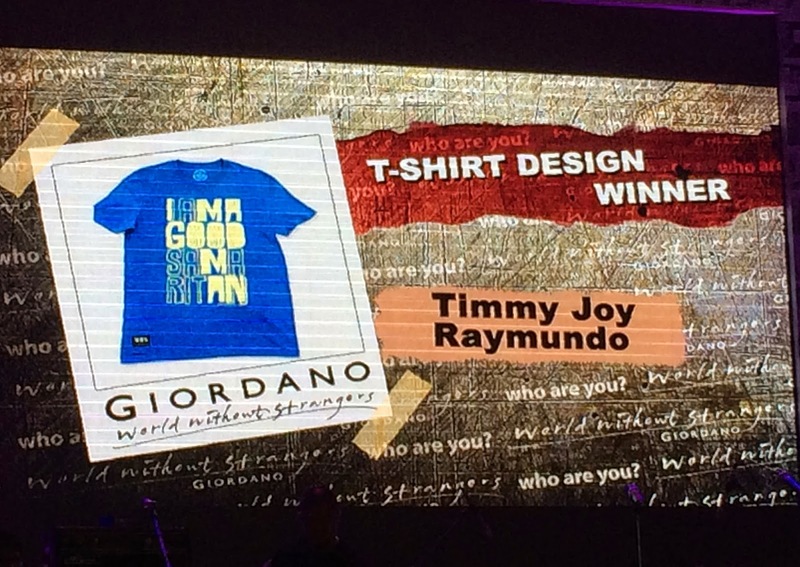 Congratulations, Giordano Philippines for a successful launch and Happy 25th Anniversary!!! 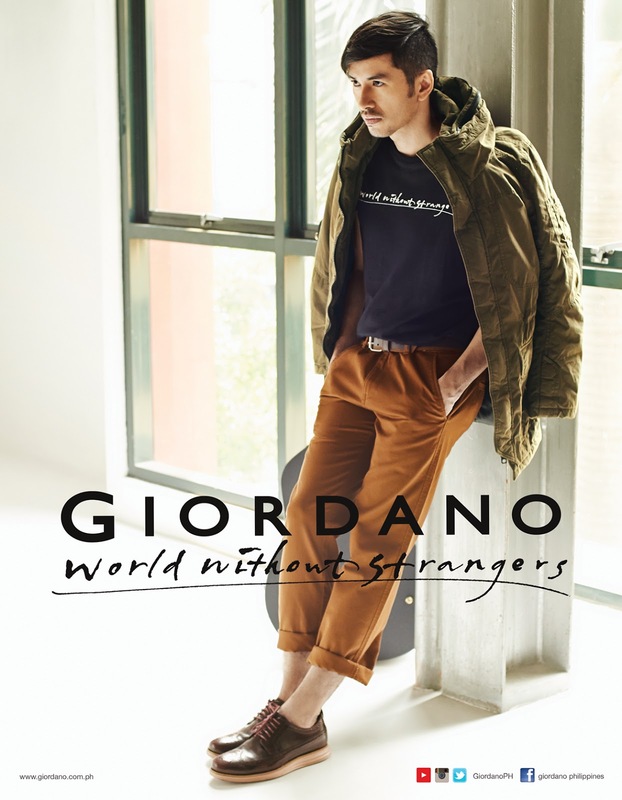 I admire Giordano for coming up with this campaign " A World Without Strangers" . People should reach out with other people to make this world a better place.